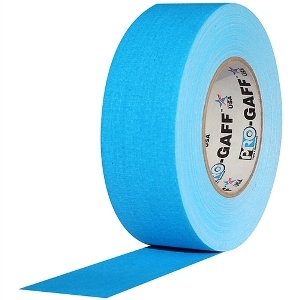 Gaffer tape (also known as gaffer’s tape or gaff tape) is a heavy cotton cloth pressure-sensitive tape with high-quality synthetic rubber adhesive properties. 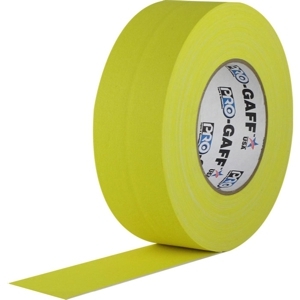 It is widely used in theatre, photography, film/television production, and industrial staging work for taping down cables or other short-term set-ups. 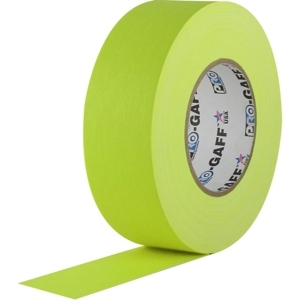 It’s a variant of duct tape and designed for temporary use. Once it’s removed it doesn’t leave a sticky residue. 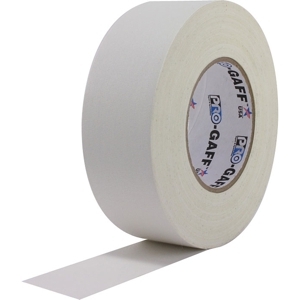 Gaff tape is also capable of enduring heat of at least 200 degrees Fahrenheit. 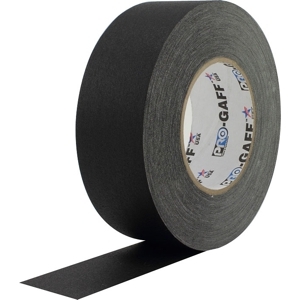 We use Gaffer tape constantly throughout our warehouse and on-site at shows and festivals. 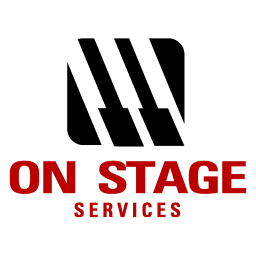 It’s our go-to tool for case labeling and general stage organization.